This week the big geek news is the trailer to “Episode IX: The Return of Skywalker.” But first up this week I do a commentary on the seventh season episode of Voyager called “Q2” and talk about other topics too. The Voyager episode this week that I cover features Q and Q’s son – also called Q. It’s a fun episode and comments on raising children and a few other lessons too. 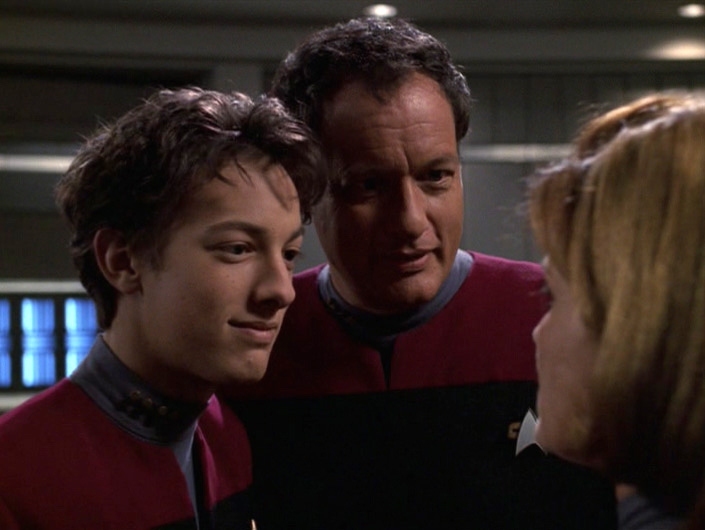 And it’s always great to see John de Lancie as Q once again (his last appearance actually as Q in Trek). Hope you enjoy my commentary. The new trailer for the next “Star Wars” film looks amazing and great of course. That title is a shocker too. I hope they end the saga on a high note but I have a feeling this won’t be the last we see of some of these characters. I will post the trailer below for you too. Next week Jeff will be here with a guest cast. Until then take care and enjoy your week ahead. Support the Podcast here at PATREON!